Sloths live in tropical rain forests. They can be found living in Central and South America. They have long arms and resemble monkeys – but unlike monkeys’ sloths are very (very) slow moving! 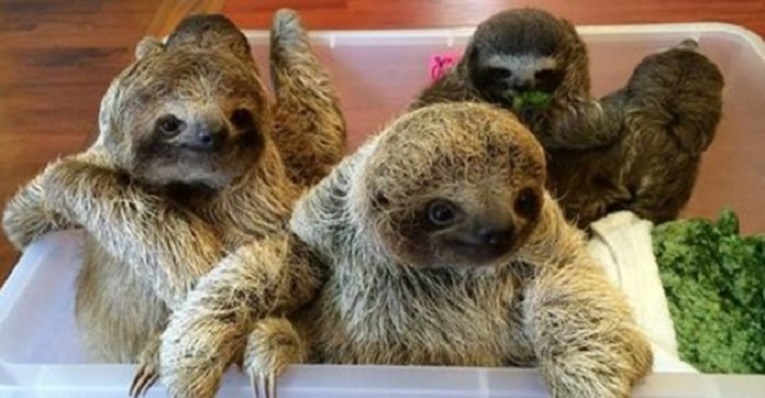 Three-toed sloths are the world’s slowest animal. Sloths are more closely related to anteaters and armadillos. According to National Geographic, scientists think that sloths are slow moving to avoid being noticed by predators. They often will have algae growing on them too – which helps hid them. The Sloth Sanctuary of Costa Rica educates the public about the importance of the sloth to the environment. 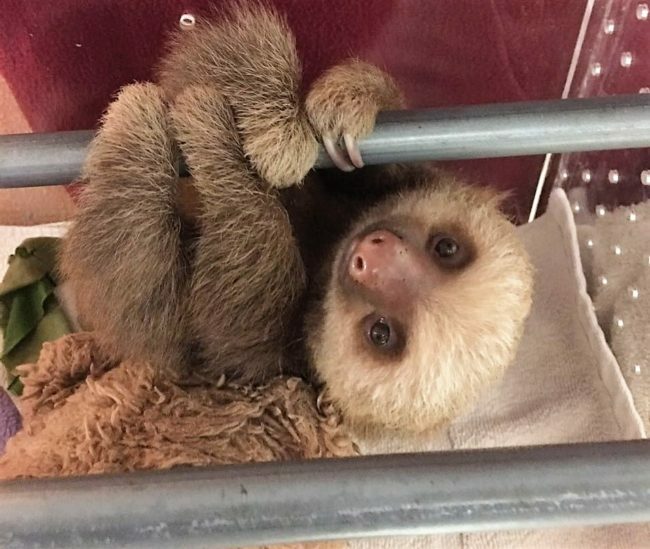 Baby sloths that get left behind for whatever reason are cared for at the sanctuary.